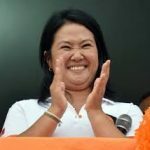 Keiko Sophia Fujimori to be President of Perú? mother Susana Shizuko Higuchi Miyagawa (born April 26, 1950) told El Popular (6 May 2011), that her daughter is seen as an angel by many, but to her is the devil: “Susana Higuchi describe a Keiko: ‘Ella es la candidata natural del Fujimorismo. Tiene ángel para la gente de afuera, pero para mi tínen cara de diablo”, claiming to have been tortured more than 500 times on the orders of her former husband and daughter when she reported his abuses, thefts, and plans to rule as a dictator to the Perú Congress (Japan Weekly Monitor. 2002-03-04. http://www.accessmylibrary.com/coms2/summary_0286-25199982_ITM; see: http://business.highbeam.com/410578/article-1G1-84261585/fujimori-counters-exwife-torture-claim). received from the public treasury a million soles nuevos (Perú dollars), that is, more than $ 300 000 for each congressional term which is inversely proportional to the 17 bills sponsored or cosponsored of which only five were enacted into law; Keiko has admitted receiving $556,000 (http://ipsnews.net/news.asp?idnews=47094) while new evidence shows the amount to be over $1 million. between July 2006 and July 2010, Keiko traveled abroad 18 times claiming to represent Perú for a total of 223; what is striking is that only one of those trips was an official visit to the United States in July of 2011 and that was to campaign in the State of New Jersey (http://www.northjersey.com/news/072210_Peruvian_candidate_Fujimori_pushes_for_congressional_seat_in_North_Jersey_stop.html) which has no representation in the Perú Congress, although Keiko promised Peruvians living in New Jersey she would push for foreign representation in the Peru Congress. between January and May 2008, Keiko Fujimori was late to 15 minutes without notice or apology. Fujimori has long-held that being the daughter of Alberto Fujimori, has given her certain “privileges” including nonaccountability. 2008 was an exceptional year. The destinations of Keiko’s trips were Chile (five trips) and the United States (ten trips), the country where Keiko spent between January and May 2008 almost one hundred days. 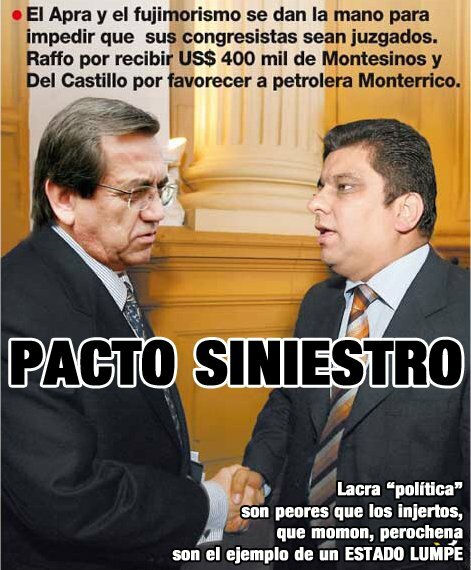 The trouble is that, according to Congressional reports she claimed to have completed a master degree (MBA, paid for by the Perú government at the order of Vladimiro Montesinos; on Montesinos crimes, see http://www.nytimes.com/2003/03/25/world/peruvian-spy-chief-convicted-in-first-of-his-trials.html?ref=vladimiromontesinos) at Columbia University, studies that have cost the Republic more than $300,000 more than the inflated tuition at the university. 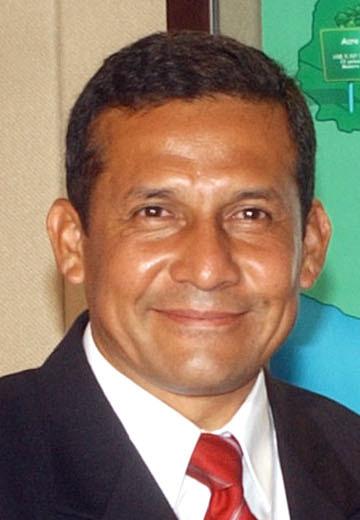 between April and June 2009 for the 2008 to 2009 term, Keiko requested leaves of absence from the Perú Congress six times from the Committee on the Economy’s seven meetings. Keiko missed 21 sessions of the Committee on Finance in 2009 without notice and yet insisted on being paid for those missed meetings. In 2008, in addition to not attending plenary sessions and committee meetings required for three months, Keiko spent the time outside of the country, between January and May of that year, and the Congressional records show that Keiko reported 15 late arrivals and three absences. in 2009 she missed 18 per required sessions, largely because of her pregnancy, while another 23 sessions were missed after the start of the new term of Congress. attended 2010 full sixteen of the twenty that were conducted between March and July, while three others reported any traveling abroad. 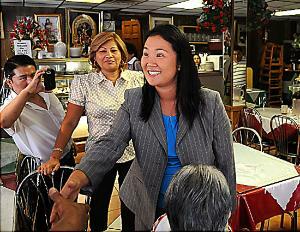 Throughout her career in Congress, Keiko has served on the Financial Council. During the 2009-2010 legislative session, she notified the council that she would not attend meetings of the Committee on Finance seven times. According to the License Logging Congress, Keiko Fujimori justified her absences from Congress on the grounds of illness or duties of representation (although none were official or sanctioned), which in reality were used for 2011 electioneering and campaigning for the presidency. 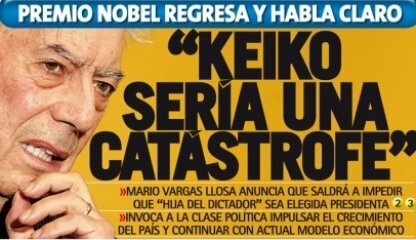 Perú’s one (and only) Nobel Prize winner, Mario Vargas Llosa, has vowed he would never vote for a Fujimori, and has noted that Keiko’s hands are anything but clean of graft and crime (http://www.ajc.com/news/nation-world/perus-vargas-llosa-i-907060.html). Fujimoristas (congressional candidates have been regularly and frequently linked to narcotrafficking; http://ipsnews.net/news.asp?idnews=54928 which offers US State Department documents released by WikiLeaks). 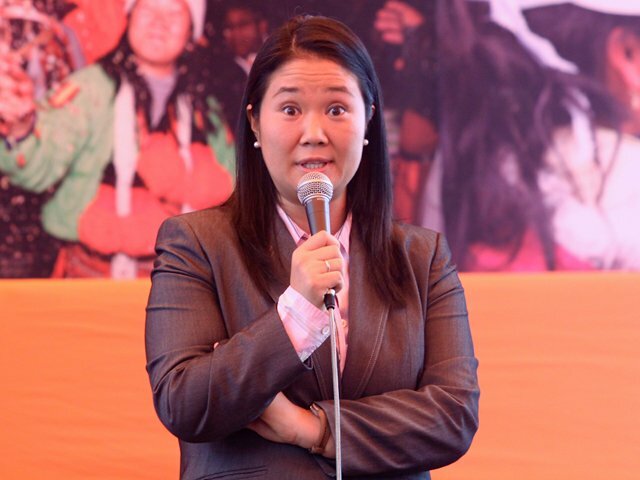 2 comments to Keiko Sophia Fujimori to be President of Perú?